Product prices and availability are accurate as of 2019-04-05 02:21:19 UTC and are subject to change. Any price and availability information displayed on http://www.amazon.com/ at the time of purchase will apply to the purchase of this product. 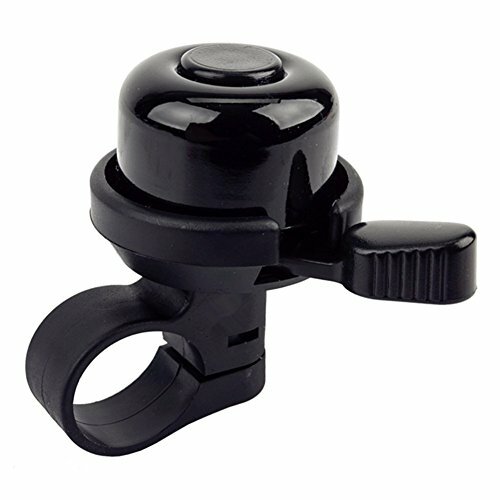 Brass Duet Bicycle bell has a solid brass dome The 25.4 milli meter clamp fits most handlebars It comes with trigger-pull lever Fits handlebars with 21.7 milli meter - 24 milli meter (.86-Inch - .95-Inch) outside diameters Dome Diameter: 33 milli meter (1.3-Inch) IDEAL for GIFT - Vintage style and craftsmanship but practical. This bell brings back good memories.Ideal for gift.